Internationalization will speed up again, and pharmaceutical friends will invest 1 billion yuan to build a "API-based international industrial base"
Recently, Fosun Pharmaceutical's member drug pharmaceutical pharmaceutical company completed the strategic integration of Hunan Dongting Pharmaceutical Co., Ltd. and relied on its first-class development platform to invest 1 billion yuan to implement “raw materials” in Changde Economic and Technological Development Zone of Hunan Province. Drug Internationalization Industry Base" project. The project will become an important production base for pharmaceutical pharmaceutical pharmaceutical raw materials and intermediates, and become the leading pharmaceutical manufacturing base in the field of central nervous system and hemostatic drugs. 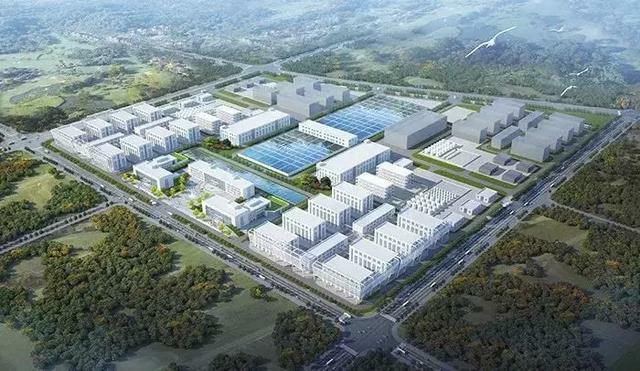 On November 28th, Yaoyou Pharmaceutical held the groundbreaking ceremony for the start of the “API” international industrial base in the Changde Economic and Technological Development Zone of Hunan Province. This project is another major strategic investment of Yaoyou Pharmaceutical after the construction of “large-scale internationalization and industrialization comprehensive base” in Liangjiang New District of Chongqing. It will rely on the advanced technology and product advantages of Yaoyou Pharmaceutical to build according to international standards. The goal is to build the base into an important production base for pharmaceutical pharmaceutical pharmaceutical raw materials and intermediates, and to become the leading pharmaceutical manufacturing base in the field of central nervous system and hemostatic drugs. It is reported that the base is planned to use 500 mu of land. It is estimated that the first phase will invest 1 billion yuan to build a modern production base of 250,000 square meters. The project will be completed by the end of 2020 and will be put into operation by the end of 2021. After the product is put into production, it will further consolidate the leading position of Yaoyou Pharmaceutical in the fields of API, CNS drugs and chemical hemostatic drugs. Yaoyou Pharmaceutical has long adhered to the internationalization strategy and is committed to opening up barriers to the domestic and international pharmaceutical markets. Product development focuses on “new, first, and difficult”. The APIs are cGMP certified by the US FDA, EU EDQM, and Japan's Ministry of Health and Welfare PMDA. More than 75% of the main API products are sold to the US and European markets. Among them, the clindamycin series products have become the largest supplier in the Americas market, achieving the entire US market. cover. In the field of preparation, we introduced advanced preparation production lines and production technologies from Germany, Italy, Japan, and the United States, becoming the first pharmaceutical company in China to pass the cGMP certification for prescription preparations in China; the solid preparation production line has become the only company in the west that has passed the US cGMP certification. There are several preparation products listed in Europe and America. Dongting Pharmaceutical is a holding subsidiary of Yaoyou Pharmaceutical. Founded in 1958, it is a leading company in the field of psychiatric drugs and chemical hemostatic drugs. After years of technological innovation and market competition, hemostatic drugs and psychiatric drugs have grown into the leading products of Dongting Pharmaceutical. The hemostatic drugs tranexamic acid and aminotoluic acid formed a superior production and sales scale and good quality; psychiatric drugs embarked on the fast lane of varieties, specifications and dosage forms, and the main categories were anti-schizophrenia drugs and anti-schizophrenia drugs. Depressive drugs, anti-epidemic drugs, sedative hypnotics. Dongting Pharmaceutical Co., Ltd. is a provincial-level enterprise technology center in Hunan Province, a provincial spiritual medicine engineering technology research center, a provincial famous trademark, an internationally renowned brand in the province, and a “production method for hemostasis acid” and “preparation of pure quetiapine fumarate. A number of national invention patents and appearance patents, such as the flat production method, the "quinaric acid quetiapine controlled release preparation composition and its application". Dongting Pharmaceutical has established a reliable product quality assurance system, and all products have obtained the national GMP certification. The quality of tranexamic acid meets the standards of the United States Pharmacopoeia, the British Pharmacopoeia, the Japanese Pharmacopoeia and the European Pharmacopoeia, and has passed the US FDA, British MHRA, EU COS, Japan PMDA certification, and exported to more than 30 countries and regions.